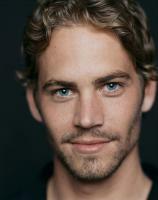 See the gallery for quotes by Paul Walker. You can to use those 5 images of quotes as a desktop wallpapers. If I lost weight, I'd be two-dimensional! If you spend any time with a man, you'll realize that we're all still little boys. It's not about working anymore, its about doing work I can be proud of. My mom was always really healthy and cautious about her diet, so I'm not a big sugar guy. My mom's hot. I mean she's old, but my mom's out of control. My motto is, you have to get in a sport a day. My parents never looked at my acting as a career. They saw it as a way to help provide for the household. There's a lot of guys that just get comfortable with their positions and rest on their laurels. I had to earn my way. There's more to life than movies. When I was younger, the pressure was just being cool. I never thought of myself as a cool guy. I always thought of myself as more of the goofy guy. You know, I'm a pretty mellow guy. I'm pretty easy-going. I see everyone's perspective. Basically, you're selling a world as an actor, right? I mean it's like any sales person: if you believe in your product, you know your product, you sell it a lot better. I hope I'm in a position to make stuff that I really want to make as opposed to stuff that I just have to make for money reasons, or to sustain a certain marquee value. I remember when I first came around, the computer-generated stuff was pretty wicked. I was like, 'Wow!' but I feel like then for the longest time, we saw so much of it, after a while, you might as well just be watching an animated movie. I'm into being a dad, that's where my focus is most of the time. I'm an actor that's my job, but it's not my life. I have a lot of other interests too. That's one thing about Hollywood. People don't always want what's real. People always want a little more. So for me, it's a compromise. Here you go, that hyper-reality. 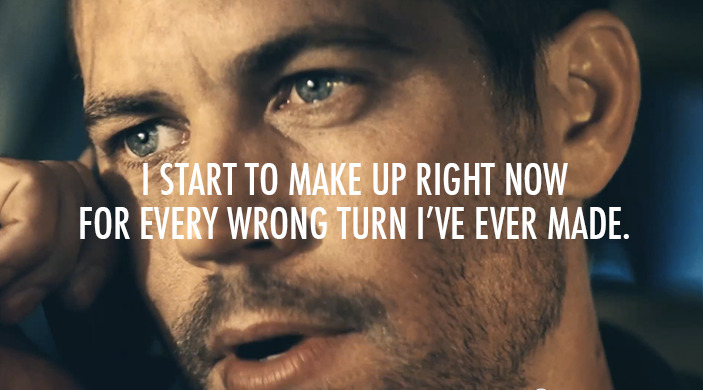 Much more quotes by Paul Walker below the page. Surfing soothes me, it's always been a kind of Zen experience for me. The ocean is so magnificent, peaceful, and awesome. The rest of the world disappears for me when I'm on a wave. I'm not the kind of guy who's taking advantage of my position. I have an airplane hangar with 17 cars in it. That's no joke. I have a 'half pipe' in there, too - you know, like a big ramp, where I skateboard. It's awesome. It's the ultimate fantasy. I don't go for the flash and panache. I love doing the action stuff. It's soooo much fun! I used to believe in one true soul mate, but not anymore. I believe you can have a few. My father's a protector. My father's old-school. He's a cowboy. I could take you for a walk on the beach and I could point out just about any creature and give you their Latin names. I sometimes struggle, because my job is like the antithesis of what surfing is all about. Surfing's simple. It's real. I was definitely ahead of my friends. I was French-kissing girls way before anybody else was. I wish I could be behind the wheel for every stunt. I'd like to live on horseback and just be a cowboy. I'm a crazy car guy. I've got an airplane hangar full of cars. I'm not affected by violence the way some people are. I don't know why, but I enjoy that intensity. I'm not afraid of anything. That's just the way I am. I'm not the least bit polished, I come from a blue collar background and I never thought I could feel comfortable around the English. 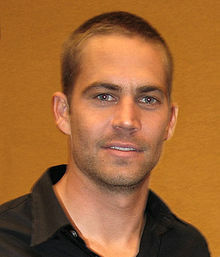 I've always wanted to race cars, ever since I was a young boy, as I think a lot of guys have. I completely scorn the falsifying, the sanctimonious, the cheap and the shoddy. May I say, finally, that I have no illusions of grandeur; quite to the contrary, I am very humble in my knowledge that through forty years of my life my life has been an open book of service to my fellow architects and for the public good. When I severe my connections with the A.I.A. I do so with my own self respect, as a matter of pride and I am sure within your knowledge of my character.